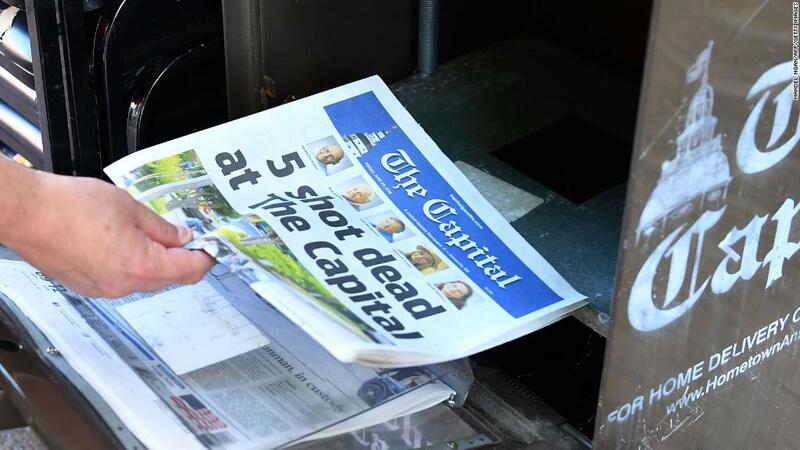 How does the Capital Gazette go on? Capital Gazette staffers normally cover the Independence Day parade in Annapolis. This year, they marched in the parade instead. In the wake of last week's shooting spree at the newspaper's office, the survivors were invited to lead the parade down Main Street on Wednesday. About 20 staffers and alums from the paper gathered for the event, according to Phil Davis, one of the paper's reporters. He called it a "surreal" experience, walking in the parade instead of reporting on it. Davis said the staffers were heartened by the applause and cheers. "I don't know how to thank all of the people all of the time, but I will continue to try," he told CNNMoney. Photographer Paul Gillespie wore a T-shirt that read "JOURNALISM MATTERS" and carried a banner with the paper's name. He tweeted, "I am honored to be marching with my @capgaznews brothers and sisters to pay respects to our fallen family and thank 1st responders and supporters." At the end of the parade route, down by the city dock, staff writer Selene San Felice noticed that someone had scrawled the words "fake news" into a plank of wood. She scratched out the words and wrote the names of her five slain colleagues. Rachael Pacella, who was injured during the attack, added the words "Press on." Some Capital Gazette staffers are back at work in a temporary newsroom in Annapolis, Maryland, a few miles from the site of the shooting. Others are taking time off to recover. "We are committed to rebuilding," Trif Alatzas, the publisher of the Baltimore Sun Media Group, the parent division of the Capital Gazette, said in an interview with CNNMoney. He said the company is looking for permanent new office space for the surviving employees. "We are committed to that community," Alatzas said. "'If we don't cover it, who else will?' That's what I've heard from a lot of people." Four journalists and an ad sales associate were killed in last week's attack. It was the deadliest day for journalists in America since 9/11. Now some of the remaining staffers are juggling story assignments with memorial services. People are coping in different ways. "Many of them are working through, and some of them need time. We're encouraging them to take whatever time they need," Alatzas said. 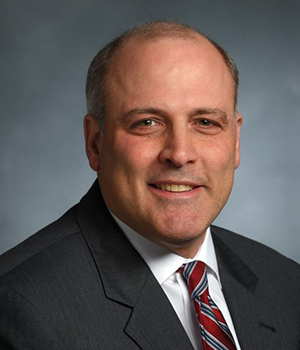 Trif Alatzas, publisher of the Baltimore Sun Media Group, parent division of the Capital Gazette. He was at the temporary office space on Tuesday, and said "it was inspiring to see everybody together." Some of the survivors who hadn't resumed work stopped by on Tuesday morning when a member of the Washington Capitals hockey organization brought the Stanley Cup to the office. Staffers posed for photos. "It was clearly a big morale boost for everyone, particularly the hockey fans in the newsroom," the paper's editor, Rick Hutzell, said in a Capital story. The seven-day-a-week paper has kept publishing in the wake of the attack. The Baltimore Sun's resources have been a big help. So have reinforcements from other papers owned by Tronc, the Capital's parent company. "We had journalists fly in from the Chicago Tribune yesterday. We had somebody here from the Allentown Morning Call. Somebody from the Virginian-Pilot," Alatzas said. Other newsrooms have sent food, gift baskets and other items. "We've gotten offers from the entire journalism community, saying 'Hey, whatever you need, we'll send support,'" Alatzas said. The American Society of News Editors and other journalism groups are planning a moment of silence on Thursday at 2:33 p.m., exactly one week after the attack. The Capital Gazette and all other Tronc-owned newsrooms will participate. As for Wednesday's parade, the staff explained the decision to participate in a letter in the morning paper. They said they recognize that "we are reluctant symbols at the moment, maybe forever," so they participated "because we want our readers and our community to see that we believe things will, eventually, be OK again. Eventually."